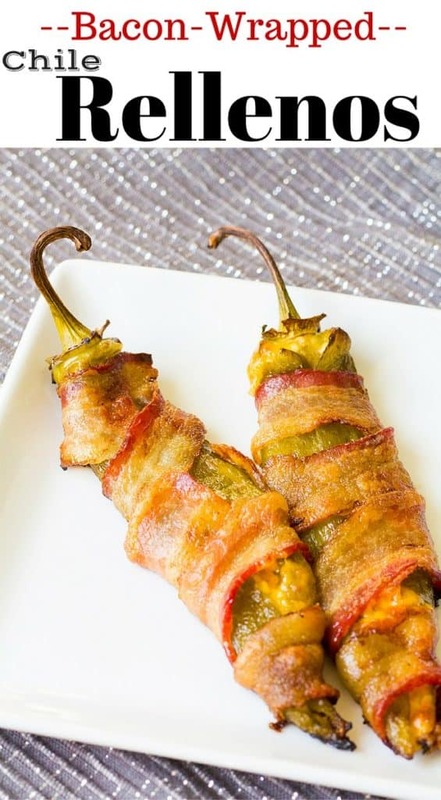 Bacon wrapped chile rellenos… oooh my. 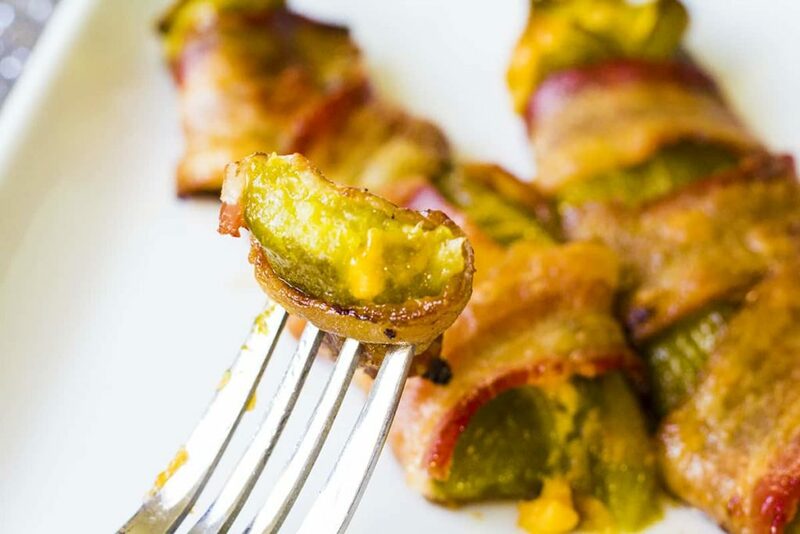 Fresh poblano peppers are stuffed with cheddar cheese and wrapped in savory bacon for the perfect New Mexican appetizer! 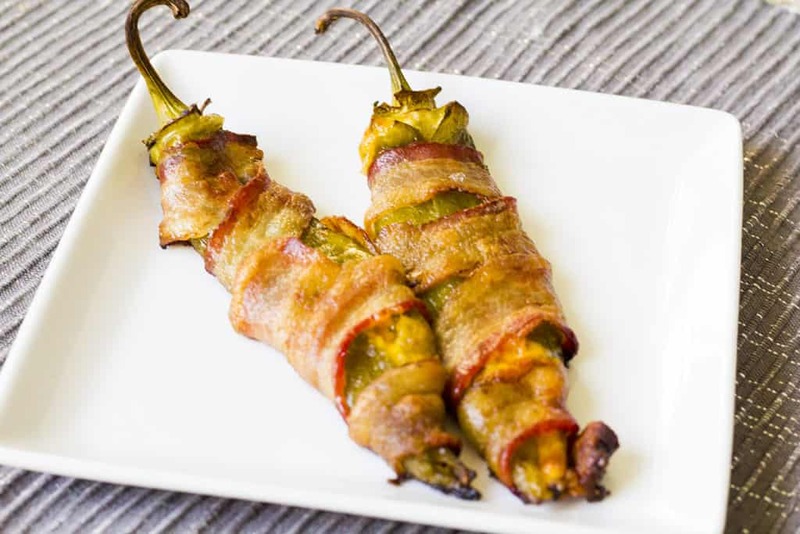 Three en chiladas – one beef, one cheese and one sour cream chicken – a cheese chile relleno, tamale, crispy beef taco and guacamole. 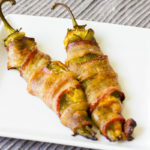 Hello There, Could I please get your recipe for the sauce you used to go with Green Chili Balls with Chicken and cheese.